Simply Southern Sandee: Welcome to the ODBD February New Release!!! Oh, Sandee, you've captured my heart once again!!! 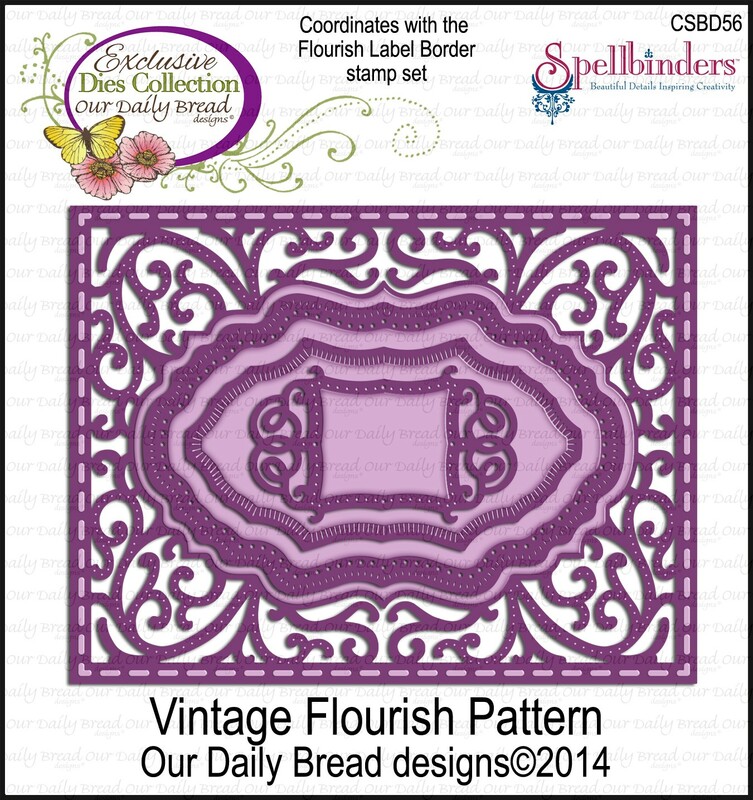 LOVE the entire design on the 1st....the heart design over the Vintage Flourish Die with the gorgeous paper peeking through, and the dsp Hello is perfect!!! The 2nd is so clever for an 'over the hill' birthday.....love the chalkboard paper and black balloon...too cute!! HUGS!! 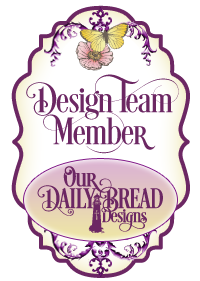 I love the way you have the DP behind the die cut on your first beauty. Sandy your samples are marvelous. The first ones is something really special. Loved the idea. Everything you made on the cards is beautiful. Thanks for sharing. Wowzer!! All three cards are very different & very beautiful!! I love the use of the dies on these....beautiful creations! oh my...be still my heart! pun intended! totally gorgeous first card!! the simply, yet classy look of the second...and your peek card is beautiful!! Such an array of techniques/cards...love the use of the dies. Love your gorgeous cards. They are all so different and so beautiful. 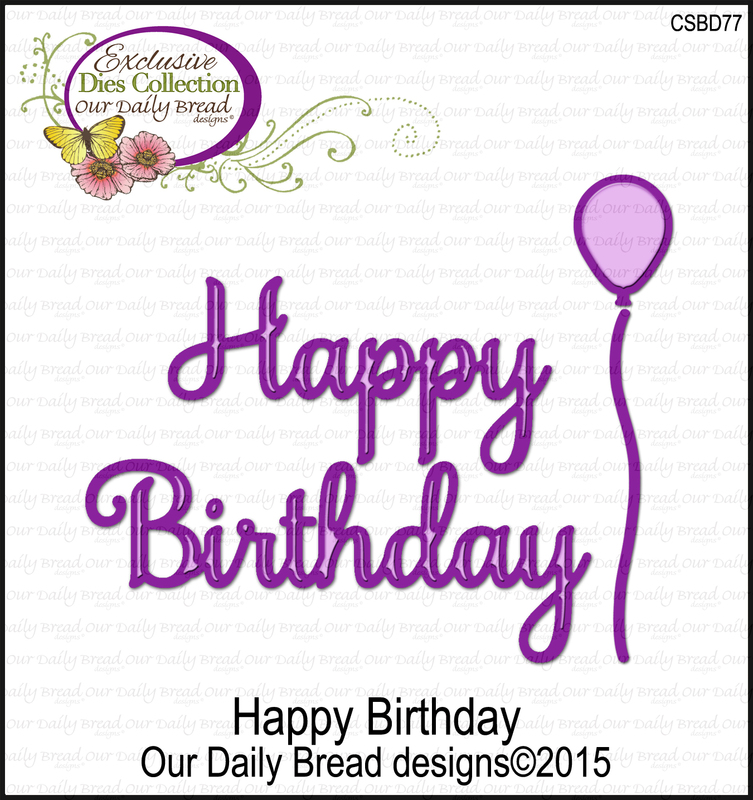 Stunning dies, stamps and paper! Wow! I just bought my first stamp set from ODBD and it looks like I'm going to be ordering a lot more! Love both cards, thanks for the inspiration. These are both wonderful, Sandee! Love the colors and dies on your first and your second is so striking in black & white. Great to see you yesterday!! Both projects are gorgeous, Sandee! Love the paper and the heart on your first vintage beauty and the second card is so striking with the bold colors! Fabulous release projects, my friend! Hugs! So very pretty. I love the soft colors. Gorgeous cards Sanded! I really love the ones with the dies! Have a Blessed day! Cute cards. I like the black and white one. I would love to receive such a pretty card. Oooh Sandee these are all so pretty! LOVE the layering of dies on the first one and of course, that luscious paper! LOVE the idea of the over the hill BD of the second! My DD turns 40 in a couple months.... hmmmm. LOL! LOVE love love your sneak peek!!! That red and white just melts my heart!!! Wow Sandee - two cards couldn't be more different yet I LOVE them both!! Your first is the sweetest - I almost used those papers then switched to the Rustic Beauty instead! And your second card is so cool!! 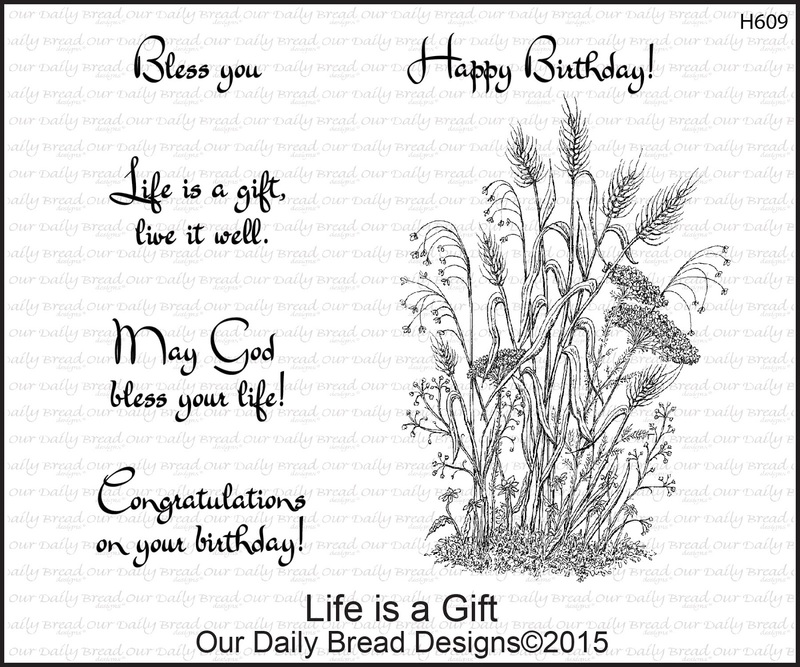 Love the black and white - and I agree it would be perfect for an 'over the hill' bday!! What gorgeous cards, Sandee!! I just love the first with the use of the heart die and the background and the gorgeous dp!! Such and elegant and beautiful design. The second is so classy with the black and white!! It would be great for an over the hill birthday!! Your sneak peak is luscious!! I love all the texture and details! lovely cards - the heart card is gorgeous! These are gorgeous! You have done a great job! I really liked both of your cards. I liked how you chose the background paper and then used the same paper for the words on the heart. You cards gave me several good ideas to try. Thanks! 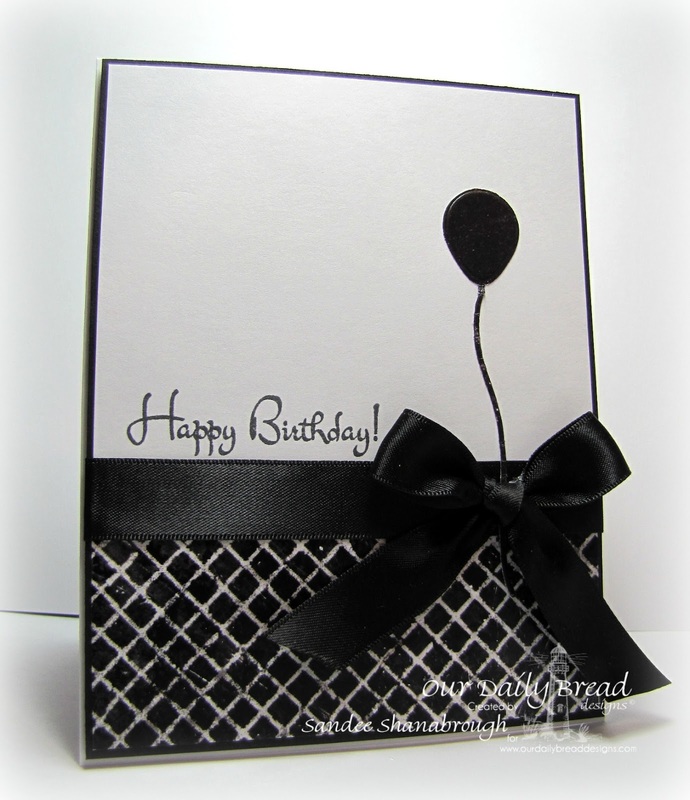 I love the heart die cut-out on top of the beautiful paper and I love using black and white on cards. Great job. 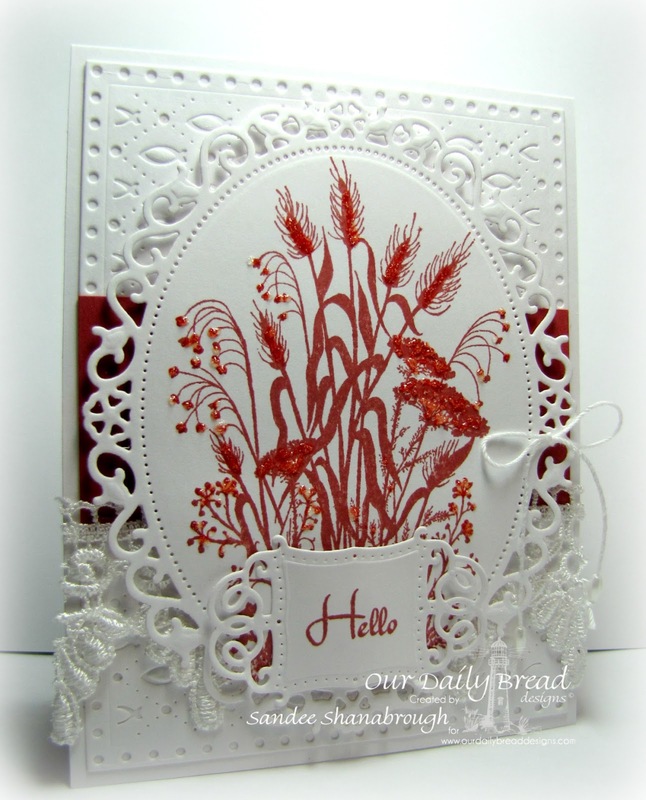 I don't think I commented on the Sneak Peek cards, but yours is lovely! Also, the black and white card is striking. Beautiful work on all three! These are both fabulous cards, but I LOVE that first one! Love the little patterned word; so pretty! Absolutely delightful cards Sandee!! 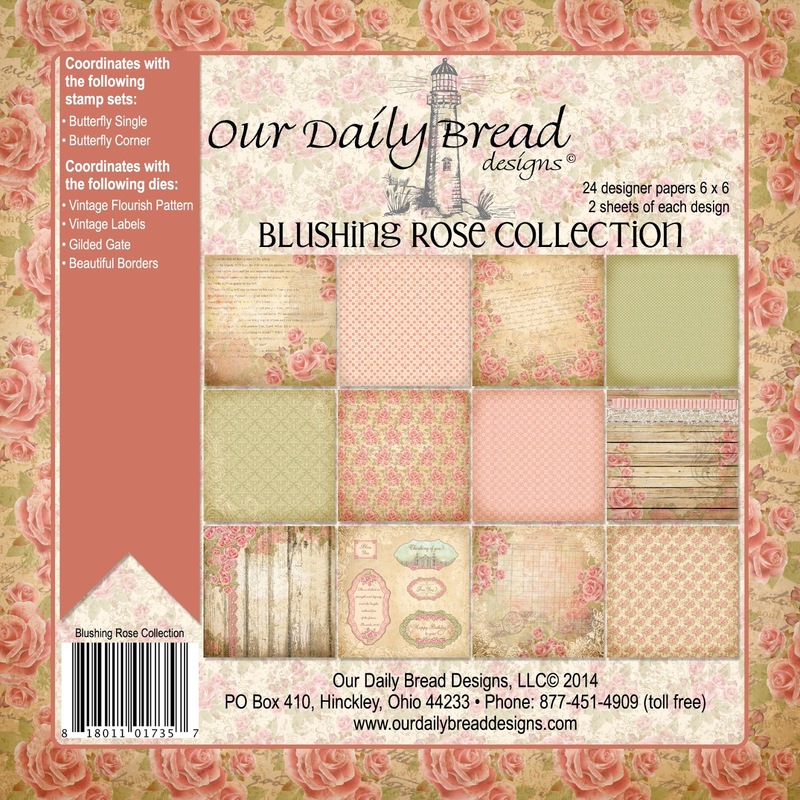 Beautiful layering of dies, soft colors and design! Love your cards! I especially like the black balloon! 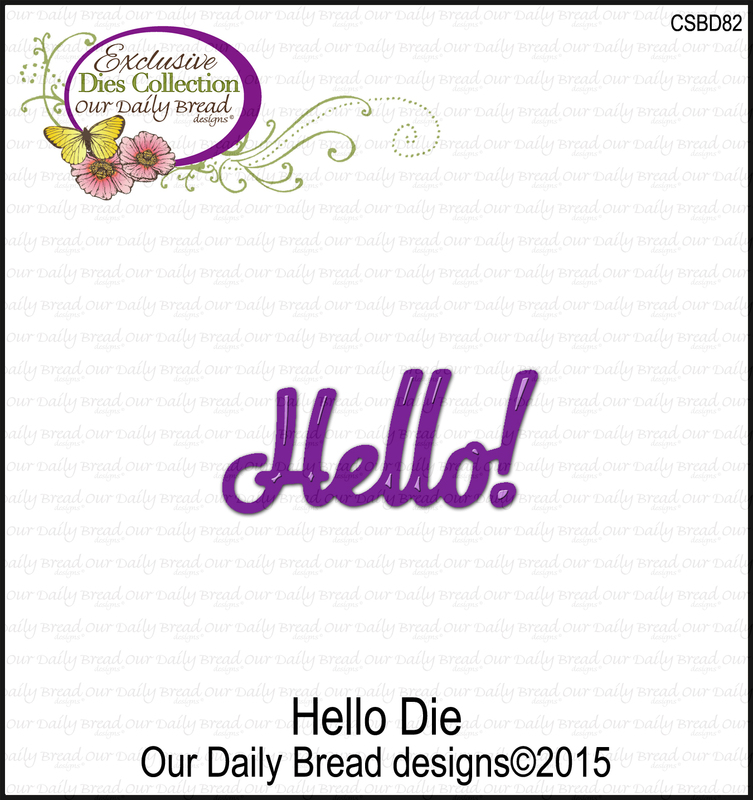 Beautiful cards, love how you used the heart and "Hello" dies on the first one. I love the multi-colored treatment you gave the word die in your first card. The beautiful paper peeking behind the gorgeous die cuts is wonderful. Love this card. I also love the second card. The effect of the black and white is stunning. Well done. Wow, what beautiful cards. The top one really pops. So pretty to have a coordinating bg with the hello. Lovely cards. Love the first. I love all your cards! Perfect use of the designer paper on the second one--so striking! Two beautifully well-done cards. 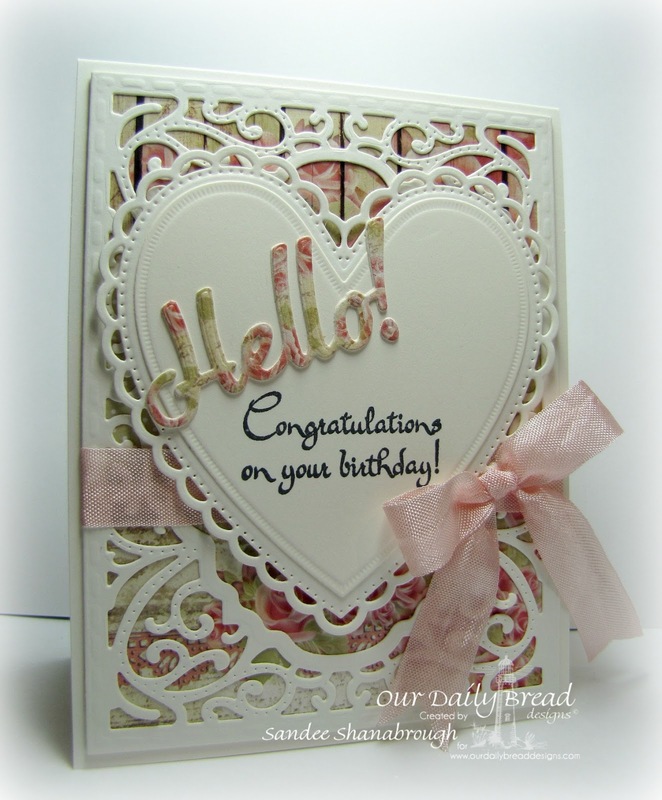 Love the diecut cement first card as well as the background papers in the hello paper that you used. Wow cards both are elegant and fun. Love them. Hi, Sandee!! We met and talked at the Lawrenceville, GA show just as it was closing and now I've taken a tour of your blog... such lovely cards! The kind I like to see on a regular basis, so I've subscribed to your site. 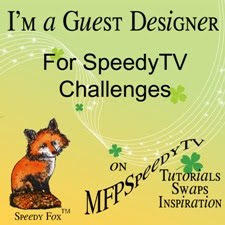 I hope you will have a chance to check mine out (just don't look at the dates; I have neglected it terribly...). I am at www.miniwonderfulthings.com and look forward to a "Hi!" from you. Beautiful cards, Sandee! Love the crisp feel to your cards and the showcasing of the ODBD dies!